This Policy explains the privacy practices of IcelandConnect and its family of related companies including licensees (collectively, “IcelandConnect”) and applies to your use of IcelandConnect products and services, including the websites and Mobile Applications that link to this policy (collectively, the “Services”).This Policy covers how IcelandConnect treats the personal information we collect and receive related to your use of our Services and Mobile App. This Policy does not apply to the practices of people or companies that IcelandConnect does not own, control, employ or manage, except where incorporated by reference within licensing arrangements with third parties. Minors– You must be at least 18 years old to register or subscribe for IcelandConnect Services because IcelandConnect is available only to individuals who can form legally binding contracts under applicable law. Enter promotions or sweepstakes sponsored by or in connection with IcelandConnect. When you enter a promotion, sweepstakes, or contest hosted by IcelandConnect or sponsored by IcelandConnect and/or our many partners, we ask for your name, address, and email address. You may be asked to provide additional information or to answer certain questions, some of which may be optional, in order to participate. We may contact you in connection with a particular promotion, such as a sweepstakes or contest, in order to update you of your status, administer the promotion, let you know that a promotion has ended, and for other purposes. Your IP address and, when using our Mobile Application, data such as device type and OS version. Note, you are not anonymous to us when you sign in to our Services. IcelandConnect receives IP addresses from all users because this information is automatically reported by your browser each time you view a web page. Your IP address is also stored in our user registration databases when you register or subscribe with IcelandConnect. By signing up for our mobile services, downloading our mobile application or providing your phone number, you consent to receiving push notifications, advertising messages and text messages from IcelandConnect relating to our products and services. To opt-out of receiving push notifications, you can disable push notifications on your mobile device system settings. When using our mobile website or application, if you tell IcelandConnect where you are located (e.g., by allowing your mobile device to send IcelandConnect your precise location), IcelandConnect may use that information to provide you with location-based information, tailored offers and advertising. Precise location information is not shared with any third parties who are not providing services to us. If you wish to deactivate this feature, you can disable location services on your mobile device. IcelandConnect may collect third party information in connection with our gift giving service. We will collect the relevant contact information of the gift recipient which may include name, address, and email address. We will use this third party information only for this service and not to market directly to the recipient unless the recipient is currently registered with IcelandConnect independently. Furthermore, when you use our Services, we receive and record information from your computer and browser, including your IP address, IcelandConnect cookie information, the type of software and hardware you are using and the web page(s) you visit. Perform credit checks, report or collect debts owed, or to protect the rights or property of IcelandConnect, our employees, our members, and our Services. A web beacon is activated as part of a web page or email and allows us to count visitors to our websites and to recognize users by accessing IcelandConnect cookies which help us personalize your experience when you use our Services. IcelandConnect respects your right to control how your personal information is used. IcelandConnect may give you the opportunity to request communications from vendors, partners, advertisers, and other service providers. 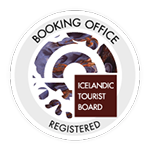 For more information about these opportunities, to edit your personal information, to unsubscribe from receiving IcelandConnect services you previously requested, or to update your account, please manage your subscriptions here or by logging into the “My Booking” section on the website. Users may also follow unsubscribe instructions included in each promotional email. If you have any issue accessing your profile page or account, or would like to deactivate your account, please see our customer support page here or email us at privacy[@]IcelandConnect.is. We will respond to your requests within ten business days. We reserve the right to send you certain communications relating to the IcelandConnect Services or your account, such as service announcements and administrative messages, without offering you the opportunity to opt out of receiving them. Information about how to opt out of receiving communications to which you are currently subscribed is included in the email communications we send to you. If you request termination of your IcelandConnect account, it is our practice to deactivate your account and block further email deliveries to you in approximately ten business days. This delay is necessary to discourage users from engaging in fraudulent activity. We will retain your information for as long as needed to provide you Services. We will retain and use your information as necessary to comply with our legal obligations, resolve disputes, and enforce our agreements. IcelandConnect takes reasonable security measures to protect your user information under our company’s control against loss, misuse, or alteration. When you enter a credit card number on our website, we encrypt the transmission of that information using secure socket layer technology (SSL). IcelandConnect reserves the right to enhance information about you with appropriate and legal data that may be obtained to serve you better and present you with more relevant information, for example by using Geo-IP maps. In addition, IcelandConnect reserves the right to take proactive steps to unsubscribe users for a variety of reasons at IcelandConnect discretion, for example if an email address stops accepting email. Please note that the information IcelandConnect collects about you may be stored on servers outside your home country – currently on servers in the United States. If you are visiting our websites from a country other than the United States or your home country, please note that the United States or other countries where we may be hosting servers may not have the same data protection laws as your country or jurisdiction. By providing your personal information to IcelandConnect, you are consenting to: (i) the use of your personal information for the uses described in this policy; and (ii) the transfer of your personal information to a country outside your home country – currently the United States. IcelandConnect may update this Policy from time to time. We will post any update(s) to this Policy on our websites. All update(s) will be effective immediately on posting. Copyright All Rights Reserved © 2018 | See it, Feel it, Love it!